6am pickup, 8.50am flight - when will I get some sleep?! 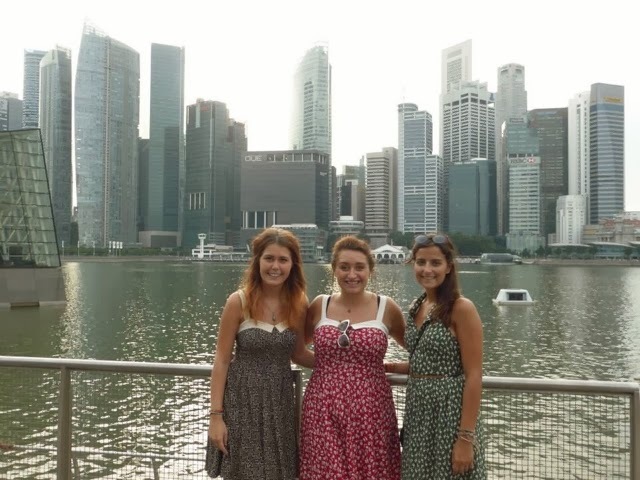 I was VERY excited to spend 24 hours in Singapore - it was a very unexpected little treat but THE BEST treat. I am now officially in love with the place and am about 80% serious when I say I am going to move there. We arrived around midday (7 hours ahead of UK time) pumped and ready to see as much of the city as possible. I'd done a fair bit of research so knew of a few places worth a visit. We decided against booking any accommodation; our flight was at 10am. First things first, transport. 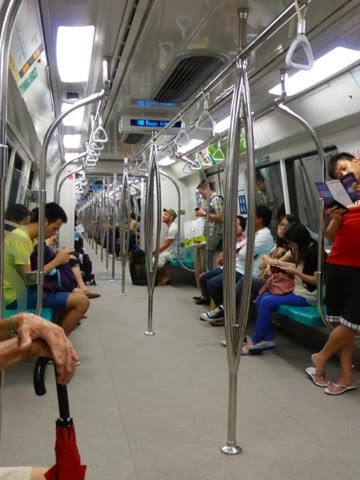 The MRT is a must - it's fast, reliable and the stops are really not far from one another at all. 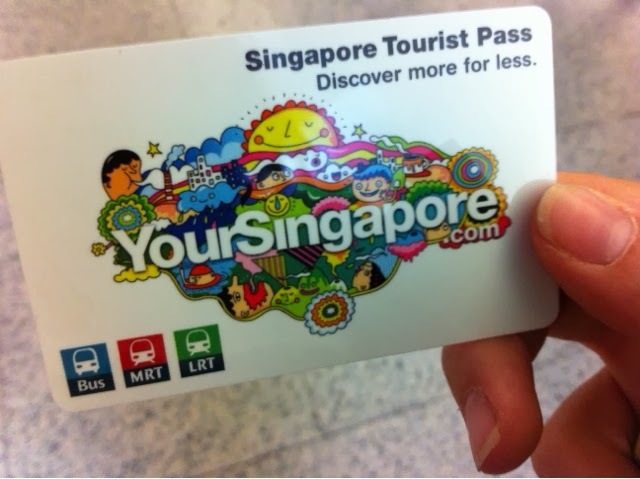 For a 1 day unlimited tourist pass it is 10 Singapore dollars (plus a $10 deposit which you can redeem from the ticket office between 6am and midnight when you've done with the pass). I would definitely recommend getting a day ticket as it is the most efficient and effective way of getting around. We were given a map so straight away planned our route. 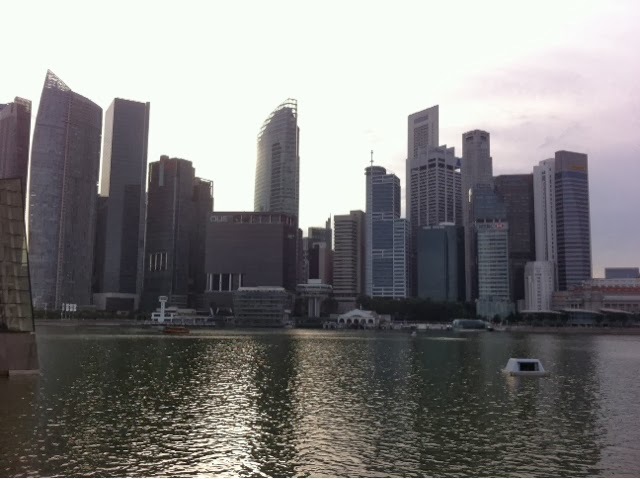 We decided on Little India, Chinatown, The Mustafa Centre, The Marina and Raffles as our stop offs - I would definitely recommend a visit to all of them. 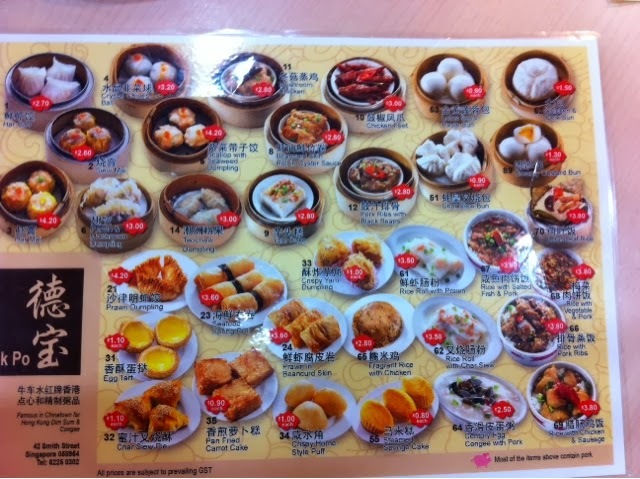 And you need to go to a Hawker Market - foodie heaven and crazy cheap! 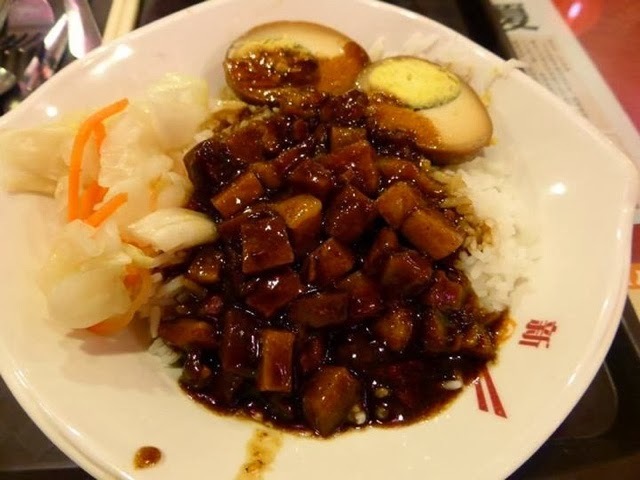 Taiwanese pork and rice for about a pound - WOW! So, we walked for around 15 minutes (using our trusty map) from the NET stop to the Mustafa Centre and it was a million times bigger than I anticipated. We eventually located the electronics section and I soon found myself a Bluetooth keyboard. Now, I will warn you - (it may sound obvious) but the products aren't genuine Apple. Cameras, phones etc you are fine, but most things aren't genuine products. I tested out the £30 Bluetooth keyboard with my iPhone and it worked a treat and, so far, it still seems to be working. Also, while you are there, stock up on any toiletries you may need - so much cheaper! 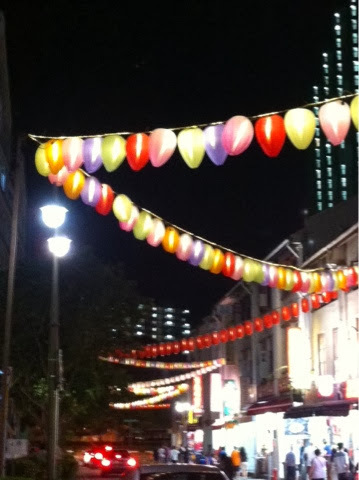 From Mustafa, we headed back out towards the MRT stop via a little Indian market. Mostly selling saris but also western clothes and accessories, things are very cheap here so it's worth a look if you are after a bargain. Next stop - Marina Bay. 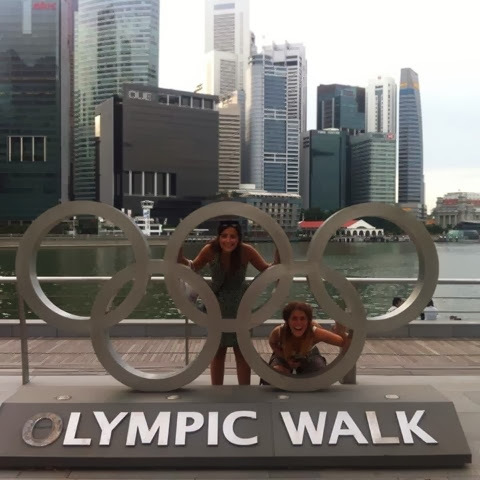 This was something I didn't know about or what to expect when we arrived but if I can say one thing about it - you HAVE to go to Marina Bay Park. A shoppers heaven with the high street brands like Zara to my personal favourite luxury brand Chanel, everything is here. 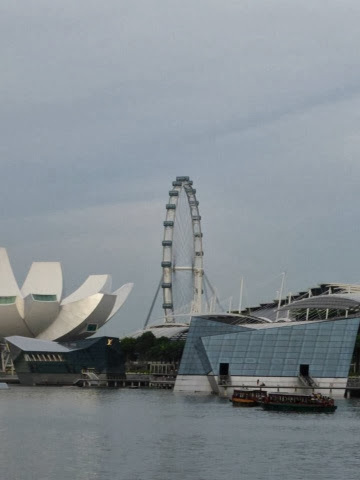 There's also Singapore's version of the London eye and the beautiful Marina itself that had amazing views if the skyscrapers and a few lovely hotels and restaurants around the water. We loved it here and spent a while walking around, sitting admiring the view and taking pictures. 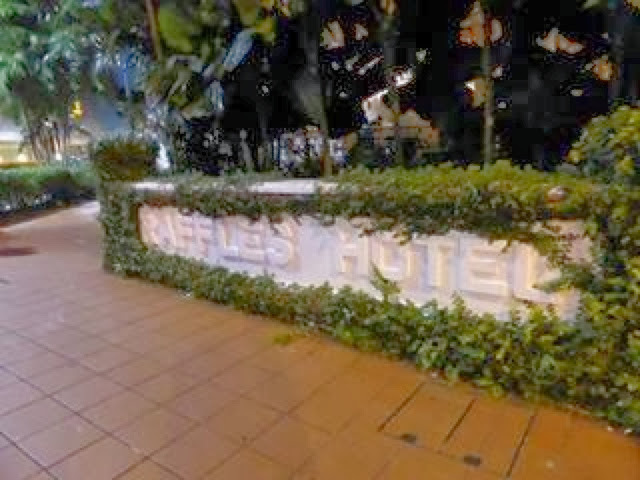 From here we headed to the very famous Raffles Hotel. 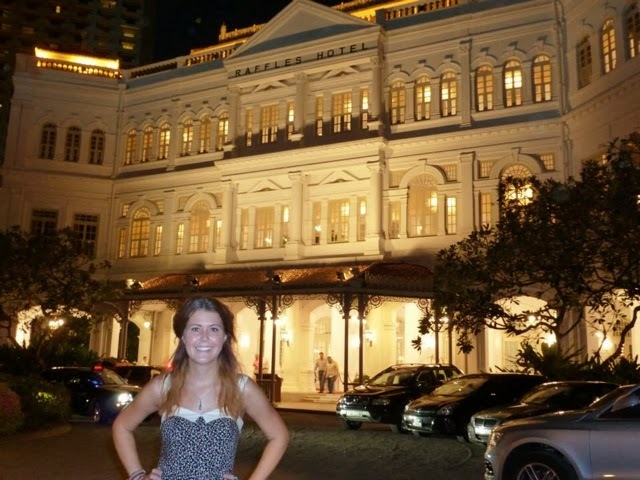 Everybody I've spoken to about Singapore said a visit to Raffles is a must, even if just to use the toilet. 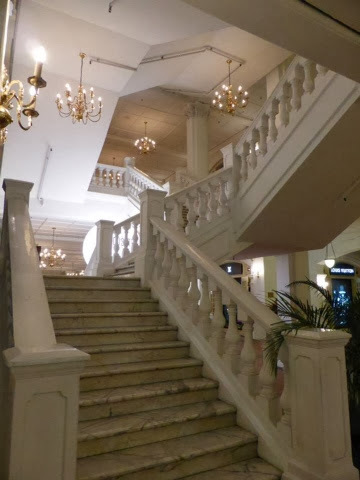 It's a hotel that's been around forever and has a fabulous reputation for being grand and very impressive. Unfortunately we had to make the decision to opt out of a Singapore Sling - at $27 we decided we would rather go to Chinatown and eat ourselves into a Dim Sum coma. We had a little wander round before heading back onto the MRT Chinatown bound. 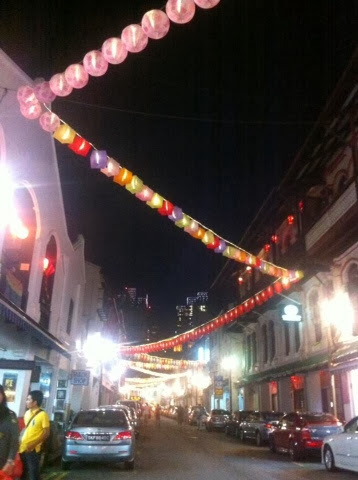 I was most excited about Chinatown, mostly to lose my Dim Sum virginity but also because I knew there would be markets, lanterns and cheap tat! My favourite! 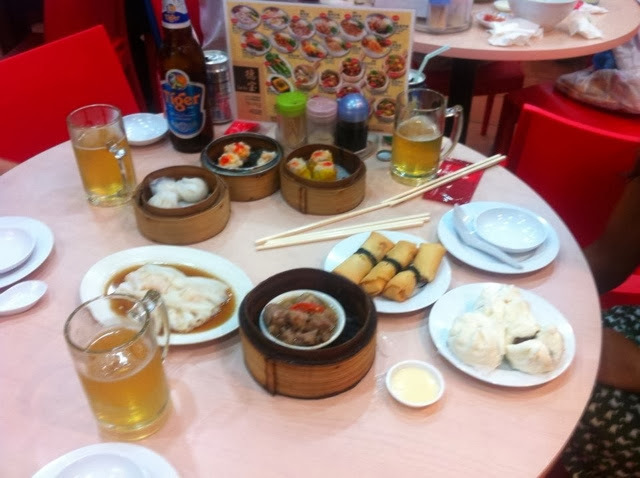 We ate at the incredible Tak Po and for around 7 pounds each we had enough Dim Sum to feed a small tribe and a beer watch. Head to Smith Street, eat here - you will not regret it, I promise. We wandered round the market for a while, impulse buying kimonos and debating what random purchasing urges counted towards holiday fever or not. We caught the last MRT back to the airport and managed to get our MRT card deposits back just before the kiosk shut. We had a very jam packed day but it was amazing and a good example that you can have limited time, get the best bits done and discover some unexpected but brilliant things to do.